Kue King transforms bronze, brass, and stainless steel wire into fine art sculpture. At the intersection of craft, design, contemporary art, and modernism, the artist finds the inner peace he’s searched the world for within his own hands. His work is honored with museum placements and awards, with commissions in hospitals, banks, public libraries, schools, and other large scale public places. Although fully self-taught in his chosen medium of wire, King has apprenticed under blacksmiths, interior designers, and architects, granting him a strong sense of how art occupies space. Kue King works meditatively through painstaking techniques. 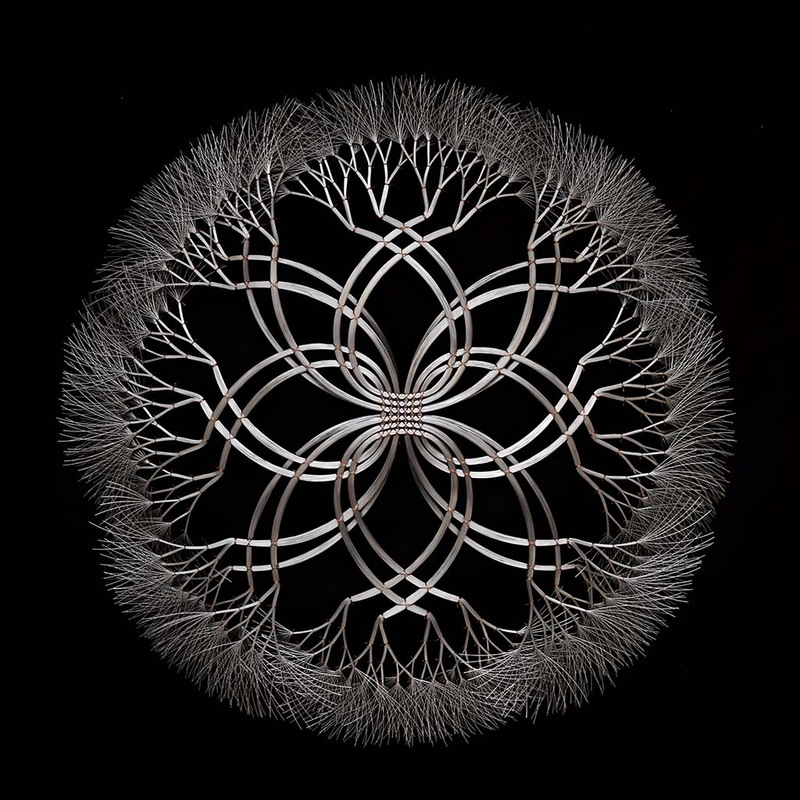 He starts with cold industrial metals and bends them to speak the complexities of dendritic life, finding the symmetrical understandings of nature nested in the center. Each piece has a unique signature much like snowflakes, making King’s work truly distinctive. The bundling and separating techniques used to create abstractions in wire are simple yet layered with complexities. King takes his lifelong efforts to understand the golden ratio and the growth patterns of nature and applies them to his work. The intersecting symmetric center creates the structural strength of the piece that branches into layers of chaos. Digital placement and shipping available.